What a great way to spend a Sunday afternoon in February. 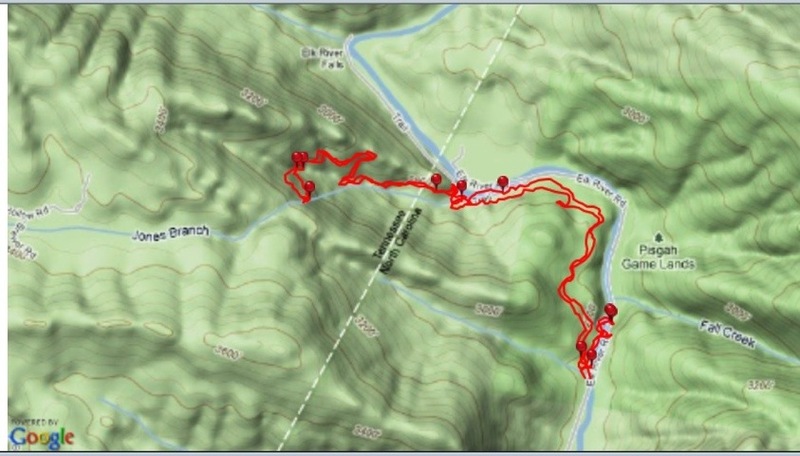 The winds were light, temps about 50, sunshine was bright, water levels were up and the trails were barely dotted with hikers. There were 2 spectacular waterfalls in this hike, one at the beginning, and one was the destination. Along the way, I crossed the Tennessee State Line along the Appalachian Trail for an added bonus. One hike, 2 waterfalls, 2 states, and the trail I would love to have the opportunity to hike from beginning to end some day, the Appalachian Trail. This was a fine day. This day begins at Elk River Falls, a location that I have visited numerous times. 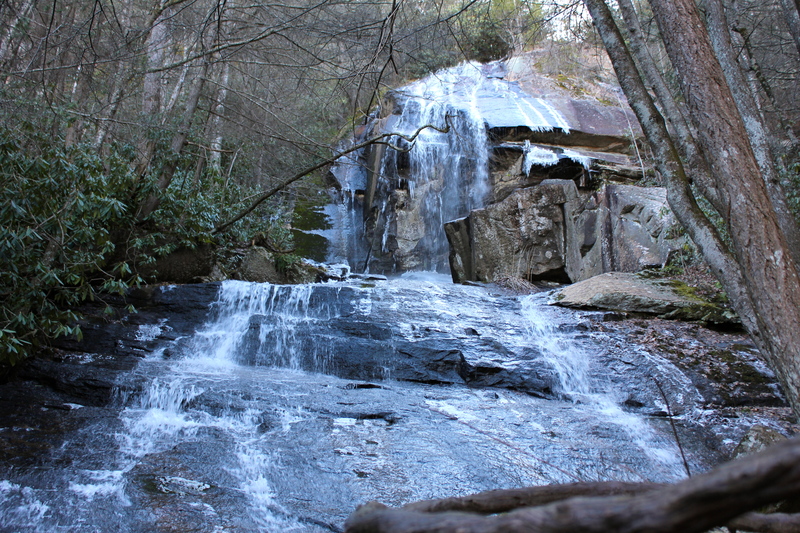 The waterfall is only about 0.2 miles from the parking, so I usually visit here and hike somewhere else like Roan Mountain, or Grandfather Mountain. Thanks to the internet and some other hiking blogs like http://www.appalachiantreks.blogspot.com, and http://www.hikingbill.com, I became aware that additional hiking opportunities exist right where I was parked, at Elk River Falls. After walking down to the base of the falls and enjoying the scenery for a few minutes, the new hike began, to Jones Falls. This journey leaves the Elk River Falls parking area on an old dirt road, that is currently gated off to traffic. The road is fairly easy hiking, going up and down a little. After leaving the river for a short while, it finds its way back to the river, where it crosses or fords it. Do NOT cross the river here. Instead, there will be a small open meadow here to the left of the road. 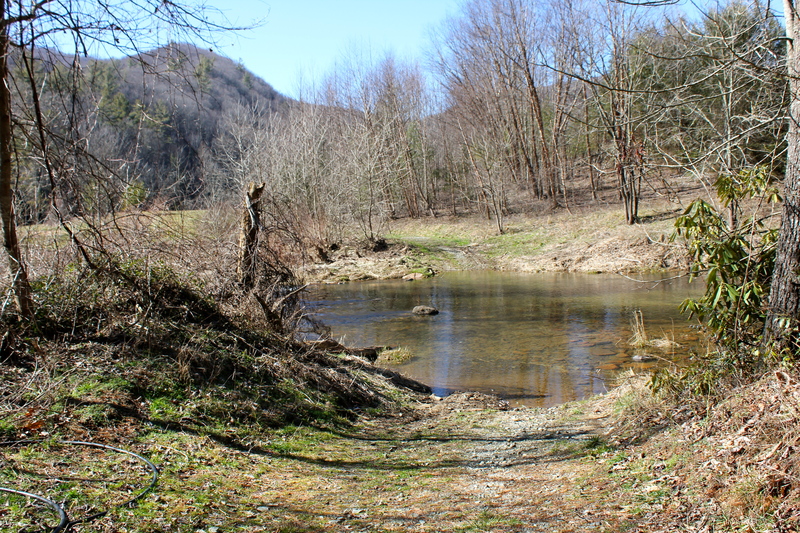 At the right edge of this meadow, a faint trail picks up and runs along side the river. There will be some stakes marking this trail. On the other side of the river, it opens up quite a bit to some rolling pastures and meadows. 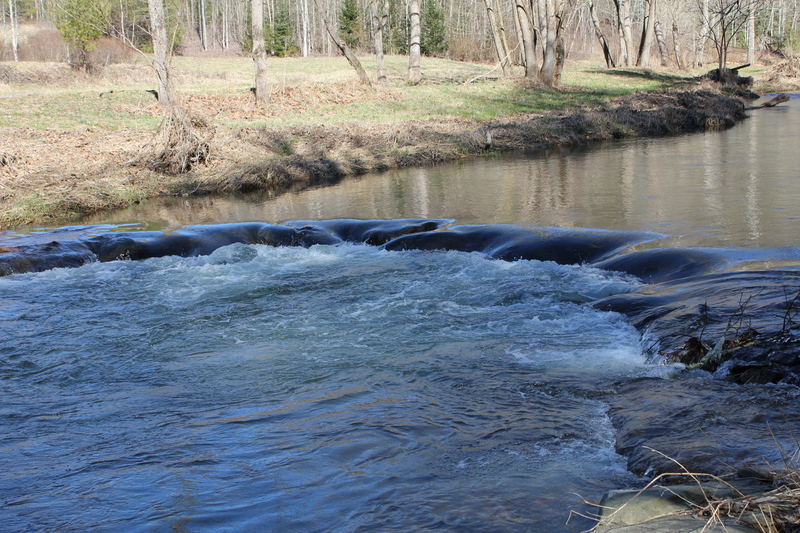 After a short up close walk along the river, the Elk River makes a sharp right turn. It is here that you leave the river. The trail continues into the woods at this point and crosses a creek which I later learned was the Jones Branch. This is the only tricky creek crossing on the hike but it is fairly easy to make it across dry. After the creek, the trail goes up, somewhat steeply. 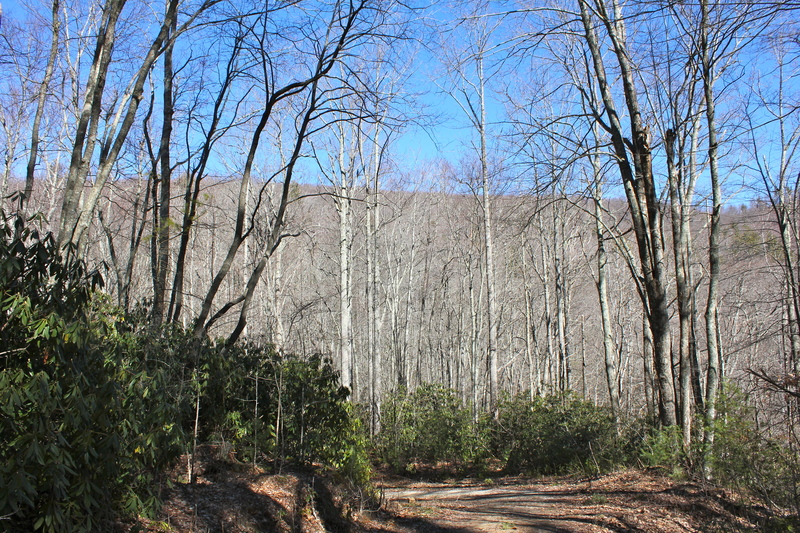 It is fairly short though and after a few switch backs the trail ends at a junction with the Appalachian Trail. This is marked by the familiar white rectangular blazes painted on the trees throughout. 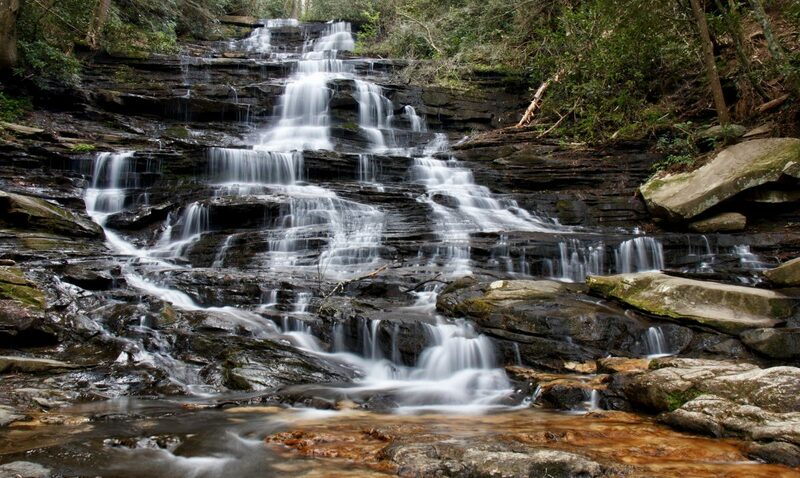 To reach the Jones Falls , make a left turn at the Junction and hike for about 0.6 mile. The trail this direction will be mostly uphill, but not terribly steep. 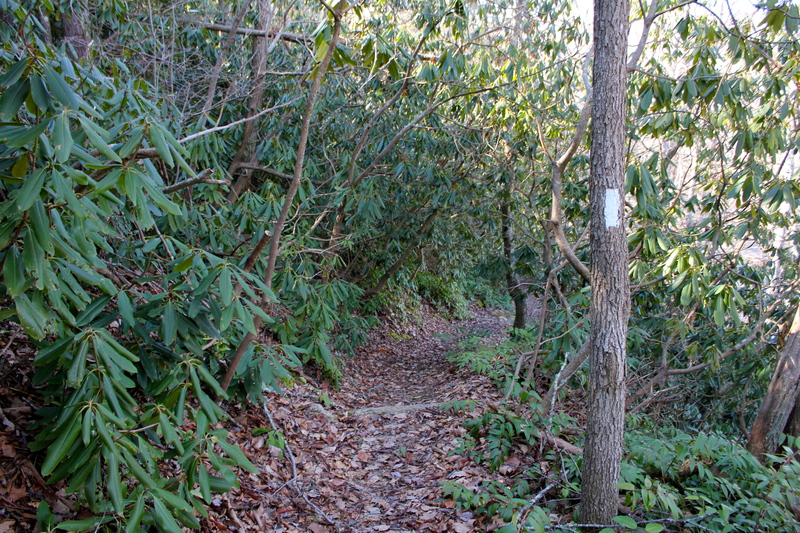 Just after joining the AT, the trail crosses the state line and you are now in Tennessee. 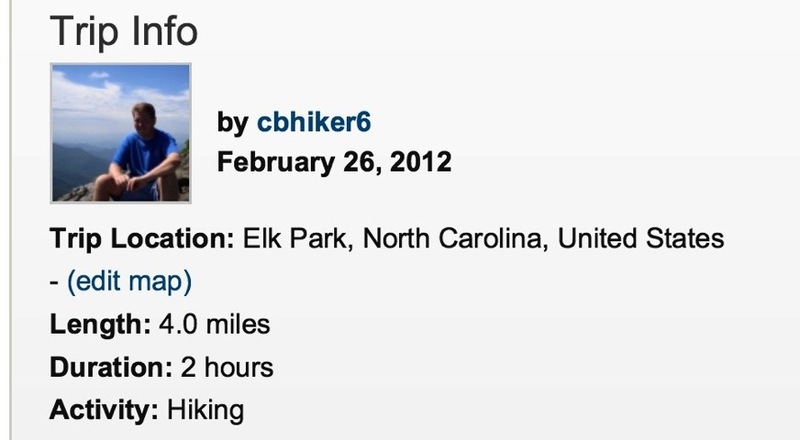 There are no markers that show this, but it is indicated on my Everytrail Google Maps. After some switchbacks, the trail begins to head into an area where the waterfall can be heard. If you look carefully, it can be seen to the left on the other side of the steep drop off. It is just after this that the AT continues to the right and a blue blazed trail with a sign for Jones falls takes over. 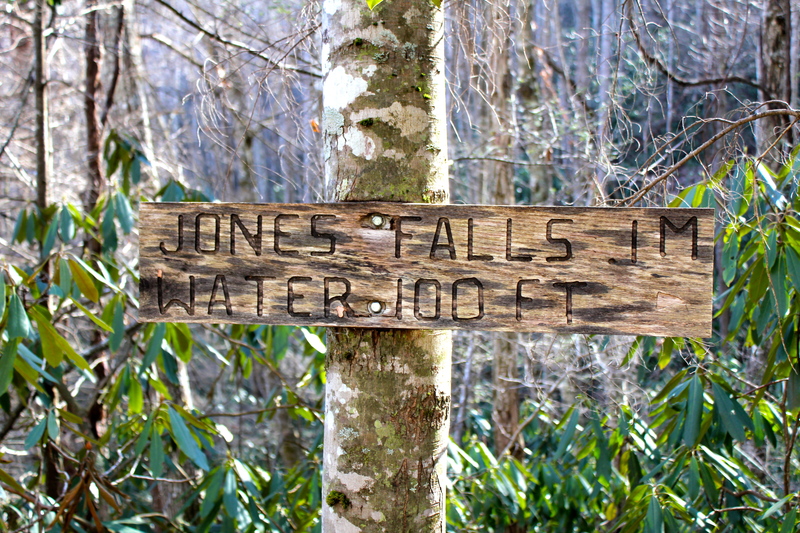 At this point, Jones Falls is just ahead. The sign says 1M, but it is more like 1/10 of a mile, not sure about that one. Once there, look up. This beauty is over 100 feet tall and on this day at least flowing pretty freely. With this being on a smaller creek, I can imagine this drying up to just trickles in the dryer summer months. Footing at this fall is tricky, be careful, and enjoy. This is the end of the hike and at this point, head back the way you came. I am continuing to enjoy your posts. The inter-mingling of words and descriptions that you do is very effective. Thanks. Chris, I meant to say the inter-mingling of pictures and descriptions on my last comment. Sorry. Thank You Steve! I am certainly trying to use both pictures and words for the best, most realistic presentation that I can! Thanks again, I appreciate your feed back! Even in the summer this is a very beautiful fall. Not as much water as your picture but the way the water fans out over the surface of the rocks it is still quite impressive. Of note: The sign in no longer there, just follow a blue slashed trail to the left. 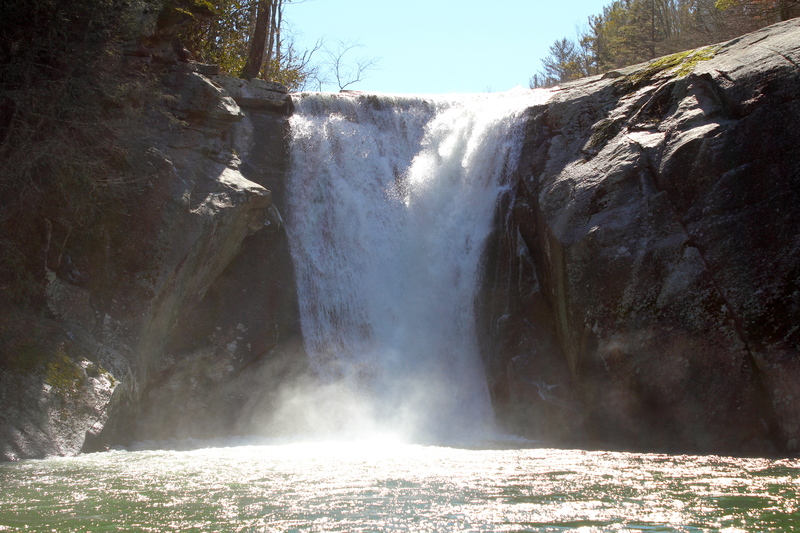 Thank you for the great write up on how to find Jones Falls, using your commentary, the falls were easy to locate.